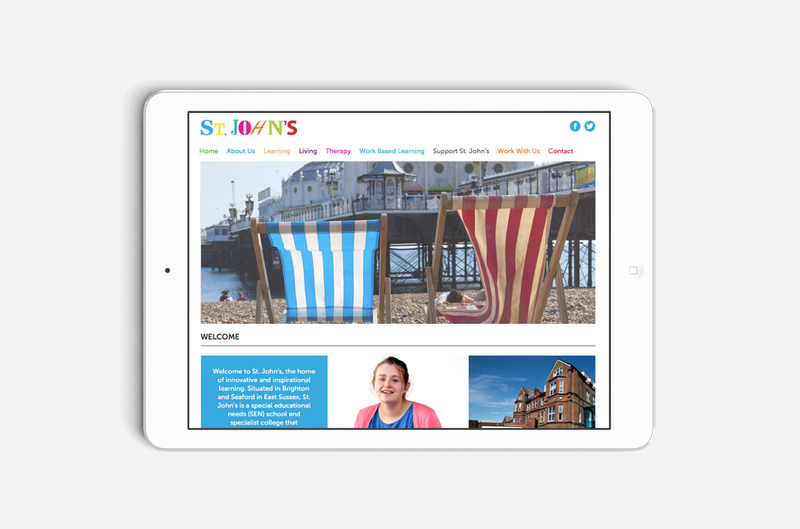 Like many schools in the SEN sector St John’s School and College were coming under increasing pressure regarding student numbers. Local Authorities were cutting back on their out of county placements and this meant pupil numbers were dropping. 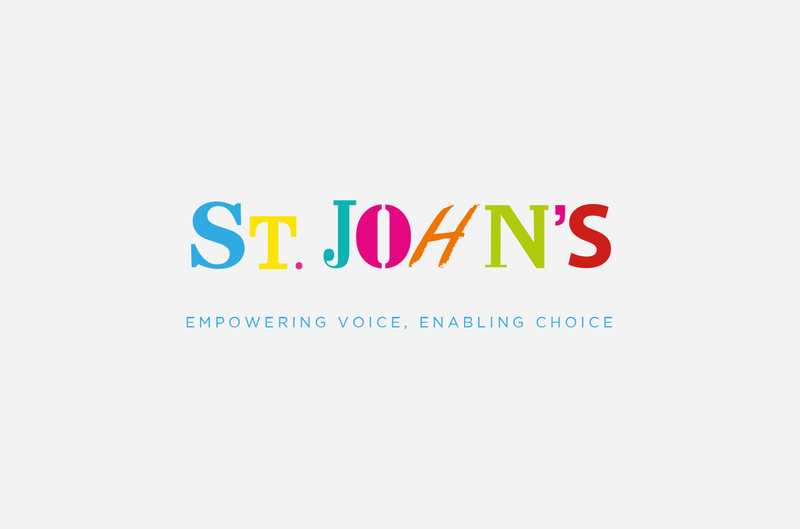 Yet St John’s is an amazing establishment and the work they do with children with serious learning difficulties is amongst the best in the country. 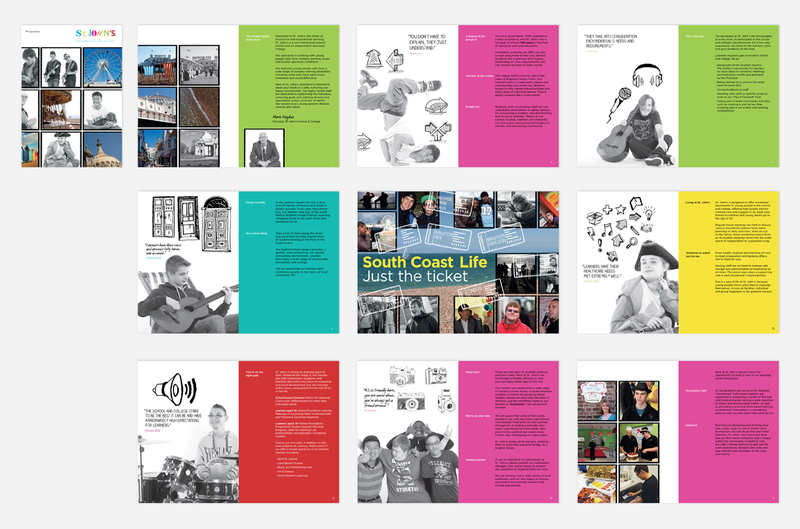 Graphical worked with the SLT at the school to create a new brand based around the school’s location in Brighton and then applied this across the full range of the school’s marketing collateral from a new prospectus to signage, exhibition material and a fully responsive website.